The PRS Paul Reed Smith 2018 SE Mark Holcomb model truly stands on its own in the PRS lineup and delivers addictive playability thanks to some unique specifications. 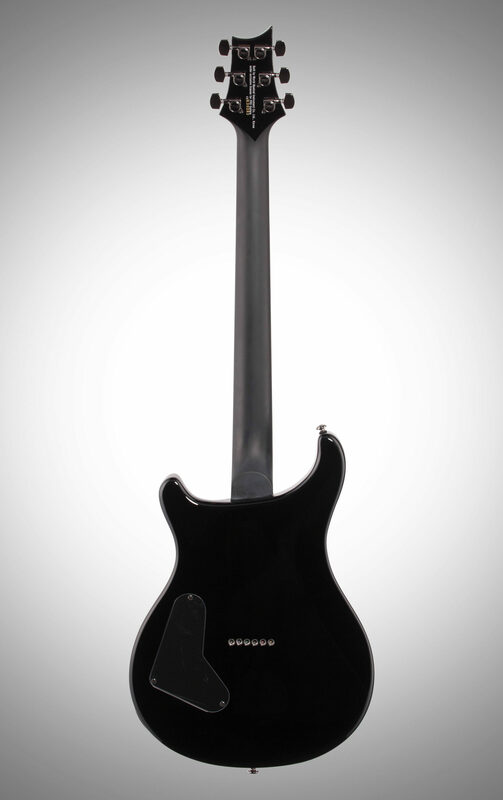 This model includes a 24-fret, 25.5" scale length wide thin satin maple neck with 20" radius ebony fretboard. Holcomb's signature pickups provide the right amount of output and articulation whether you're playing sophisticated chords or solos and whether you're playing alone or working in the mix of a band. 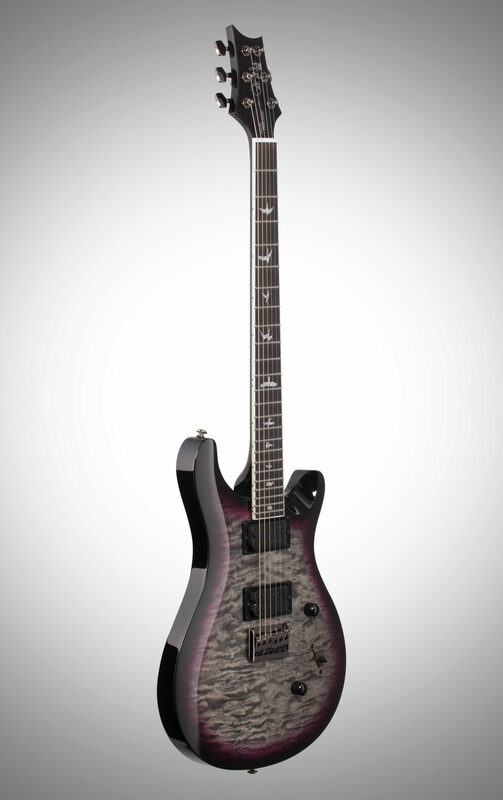 Other specifications include a quilted maple veneer, black chrome hardware, and a 3-way blade pickup switch with push/pull tone knob for coil splitting. "PRS SE has gone mad!" 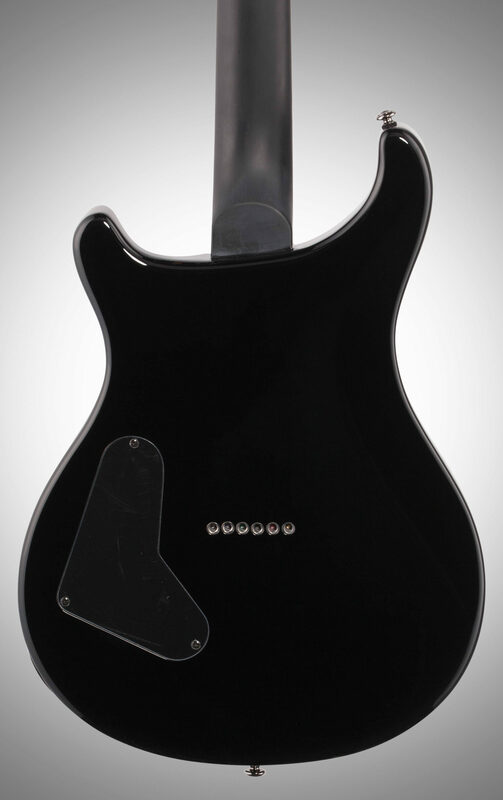 Sound: Seymore Duncan Alpha and Omega pickups are designed for downtuned music. No matter how low you go down, you get a crystal clear tone, both on clean and distortion channels. This guitar does not sound muddy at all. But since Alpha and Omega pickups are voiced for downtuning, it doesn't sound quite good on standard or half step down tuning. And also, I am not a huge fan of coil split but this option gives you more tonal variations which is great for the studio guitarists. Feature: The most useful feature of this guitar will be the fixed plate style bridge. 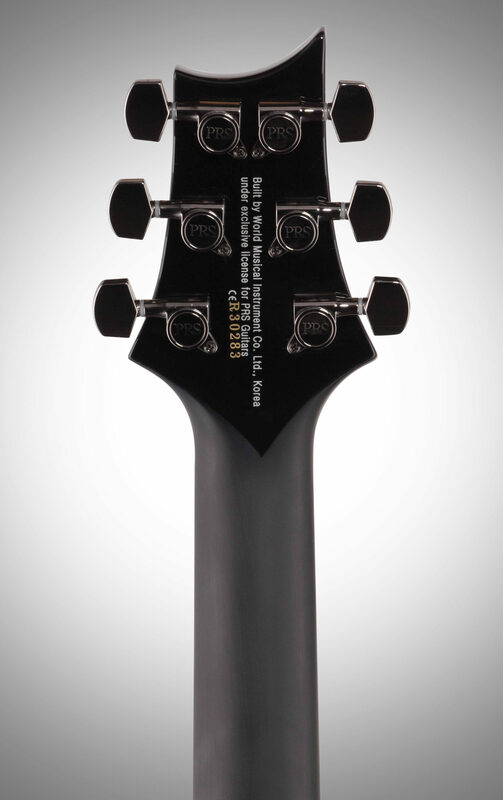 You can easily adjust the height and intonation of each indvidual saddles and it handles the low action quite well. String through also makes the process of changing the string quick and easy. Most of PRS SE models that I had to deal with in the past all had wraparound style bridges which is really the pain..This guitar comes with factory PRS designed headmachines but they stay in tune just fine. I have seen a lot of people complaining about the tuning stability but you just have to stretch strings a little bit when you first take it out of the box. Satin finish neck feels smooth and comfortable, double cutaway body gives a good playability when soloing on higher frets. A long scale also makes downtuning easy. This guitar comes with a gauge 10 string set and you dont need to go thicker than this. It could handle drop B with no problem. Ease of Use: One volume, one tone, two pickups and 3 way switch. Simple enough. Whatelse do you want to do with this configuration? Sure you can play around with split coil but I dont think there is not much meaning to it. If you want to play Red Hot Chilli Peppers tune, go get yourself a Fender strat. Quality: Made in Korea. I have actually been to the Korean factory where they manufacture other brands like Dean and Schecter. They exactly know what they are doing and I can guarantee you the best quality. Dont get me wrong. Indonesia and Mexico got great guitar making skills as well but they just cant beat Korean craftsmanship. Korea has been in the OEM business longer than them so they got more experiences and know hows. 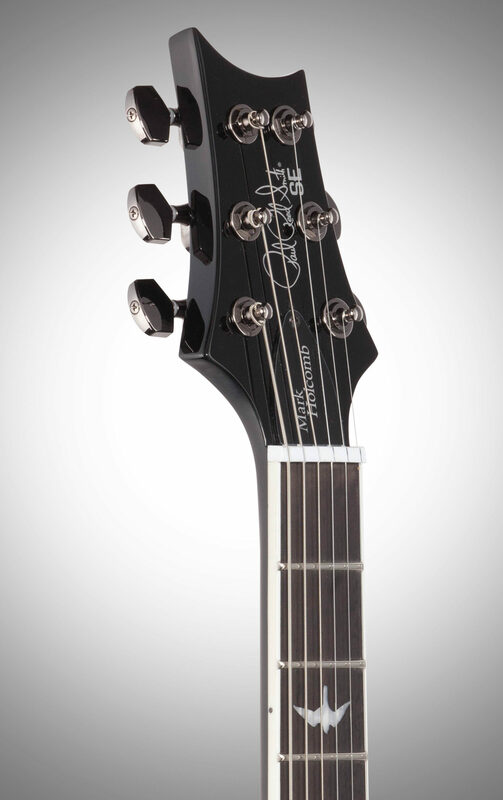 Value: It only costs 899 bucks but look at Jackson pro series models that cost about a grand. About 100 to 200 bucks difference but the overall quality, this guitar beats Jackson, Schecter, Dean, any other imported brands. Manufacturer Support: I didn´t have any issues with this guitar yet so no manufacturer support needed yet. 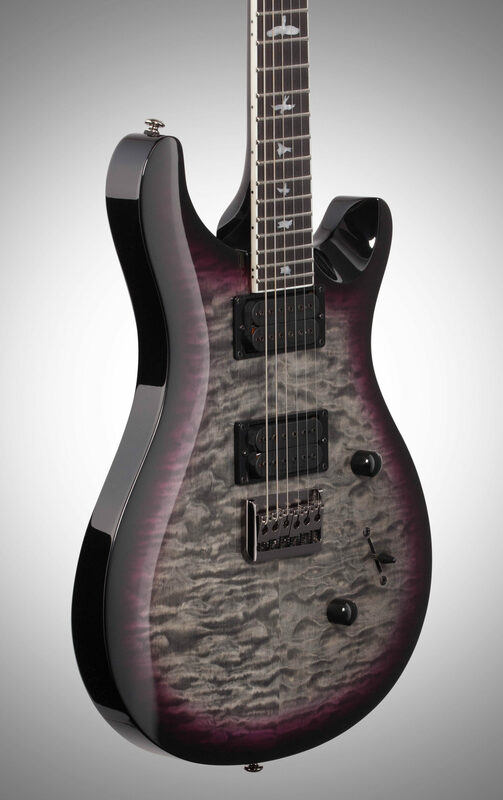 The Wow Factor: Holocomb burst finish with quilted maple veneer top is unique and gorgeous. Crafsmanship is on point and wherelese would you find guitars with installed Alpha and Omega pickups? 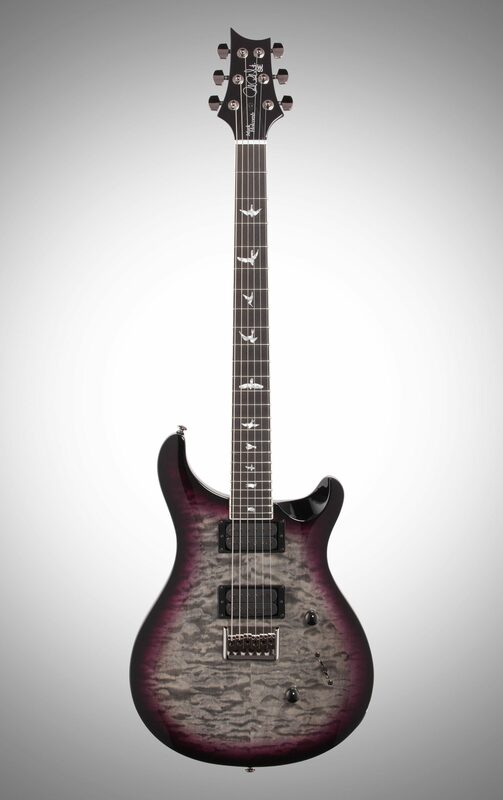 Overall: This is probabaly the best signature model that PRS has ever created! Style of Music: Heavy metal, Neo-classical, Djent, Alternative rock, Progressive rock, Jazz, Blues. Overall: I'm a huge Jackson guitar guy from way back in the mid 80's. I've been looking for something different for a while now and when Holcomb/Seymour Duncan released the Alpha/Omega set, I purchased a set for my nephew. He threw them into an Ibanez and said they sounded amazing! 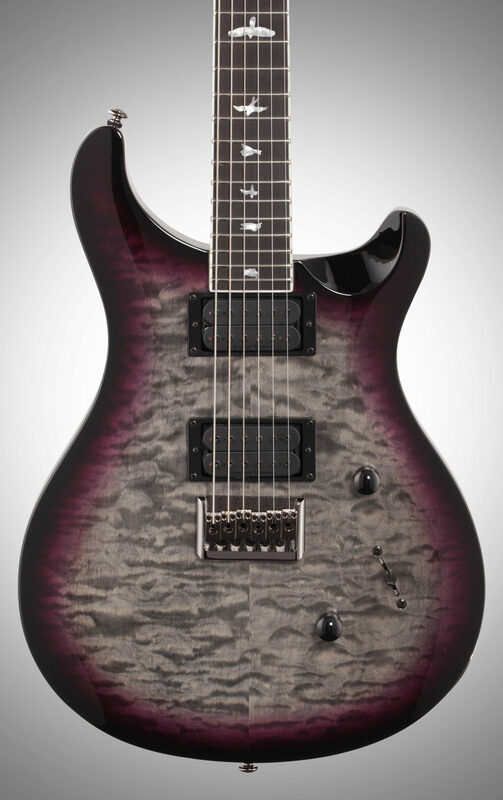 With that being said, I thought if they sounded THAT good in an Ibanez then this signature PRS Holcomb would sound 100 times better, I purchased the guitar and couldn't be any happier! I haven't picked up a Jackson since! Way to go PRS!! !